The TARDIS accidentally lands in an idyllic little English village and as per usual, something sinister is going on behind the scenes. The first thing that stands out to the Doctor is that nobody has a name except for their profession, there is Milkman, Postman, Grocer etc and everyone is expected to attend the Wellness Parade, something which occurs once everyday. Oh and there are no children anywhere. With the name, Doctor forbidden, the Doctor meets a character called Queen, who reluctantly agrees to help him get to the bottom of the problem before his body dies and he is forced to regenerate. He has to find his missing TARDIS while dodging strange village folk, running away from creepy clockwork toys and uncovering the strange secret of the town which is a mysterious energy force that is determined to keep everything the same for eternity. 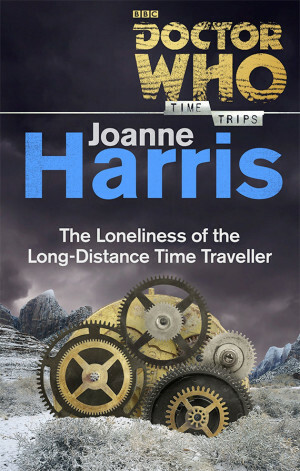 Loneliness is one of the best short stories that The Time Trips range has to offer with the characterisation of the Third Doctor being so spot on. He sounds like actor Jon Pertwee and feels like him as he is throwing a few more Venusian Aikido moves around! Authored by Joanne Harris, made famous by her book Chocolat, and both these stories rely heavily on fairy tale themes. The writing comes across as much more lush and literary than other Who novels and stories and there are some particularly evocative passages to be enjoyed littered throughout the tale. Sometimes plot can be sacrificed for style but Harris manages to balance the two perfectly. My only problem with this story is that there isn't the emotional punch that the final television story had evident here. The radiation poisoning is mentioned here and there but it reads more like a traditional Third Doctor tale rather than being his final adventure before returning to the Brigadier and Sarah Jane. But given the length that the story had to have, I can't really fault the author for not managing to do this part of the Third Doctor's time on the show, satisfactorily.